Grassroots Funding Week is now closed – Thank you for making it such as success, raising more than $16,600 during our Funding Week! How Does PDF Make Grantmaking Recommendations? PDF uses the “Four Pillars” to frame our grantmaking, namely organizing to shift power, working to build a movement, dismantling oppression and creating new structures. In order to shift power (the first pillar) we look for leaders who are accountable to their communities, a collective decision-making process, and leadership from the communities who are affected by the problems. Within the second pillar, working to build a movement, PDF seeks organizations that have a plan for systemic change, a way to develop strategic alliances, and for the organization to have a long- term vision or analysis of their effect and role within their community. 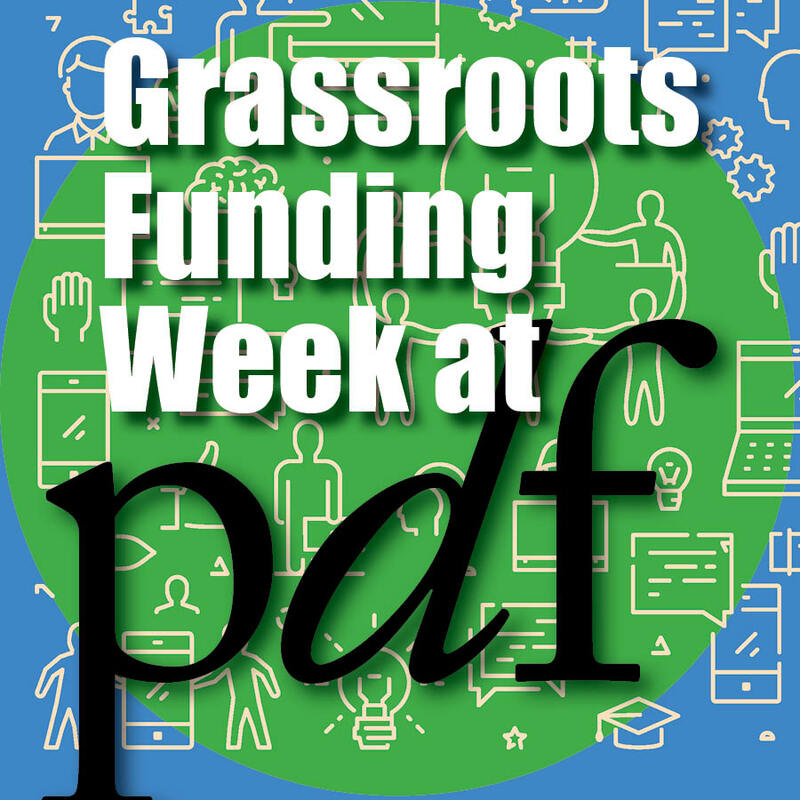 The third pillar of PDF grantmaking focuses on dismantling oppression through challenging existing institutions and structures, connecting different forms of oppression together to better understand their origins, and confronting privilege where possible. The last pillar, creating new foundations and structures, means allowing power to come from the bottom up: people who know the issues and are directly affected by them also know best how to create changes within their communities. PDF’s community organizing grantmaking is inspired by the desire to fund front-line grassroots organizations that are working towards peace through justice, that give working-class and other oppressed persons a platform through which they can voice their concerns, and work towards equal and just solutions for their community. With them, we stand on the frontier of social justice.